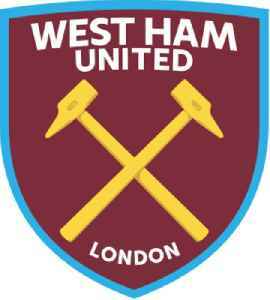 West Ham United Football Club is a professional football club based in Stratford, East London, England. They compete in the Premier League, the top tier of English football. 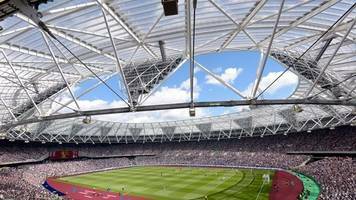 The club re-located to the London Stadium in 2016. 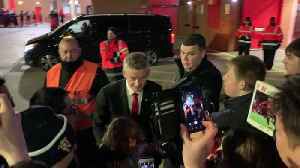 West Ham will ban for life any supporters identified in a video of anti-Semitic chanting that took place as they travelled to Saturday's game at Manchester United. 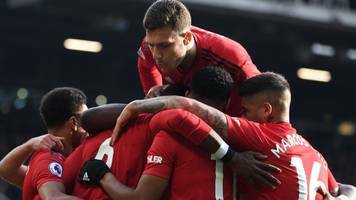 Manchester United need two Paul Pogba penalties to return to winning ways with a laboured victory over West Ham at Old Trafford. ▶ Videos for West Ham United F.C. An in-depth look at Manchester United's Premier League clash with West Ham. The match takes place on April 13. 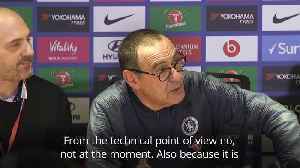 Maurizio Sarri believes Chelsea cannot afford to lose Eden Hazard. Hazard's first-half wonder goal set Chelsea en route to a 2-0 Premier League win over West Ham at Stamford Bridge. 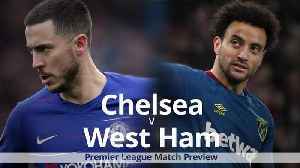 An in-depth look at Chelsea's Premier League clash against London rivals West Ham. 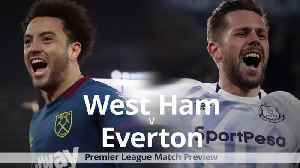 An in-depth look at the Premier League clash between West Ham and Everton. 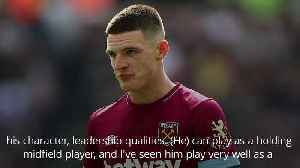 Gareth Southgate insists Declan Rice’s club form warranted his first England call-up – but he has made no guarantees to the West Ham midfielder after he switched international allegiances. 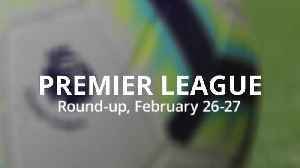 Manchester City kept up the pressure at the top as they beat West Ham, whilst Liverpool put two draws behind them to win 5-0 against Watford. 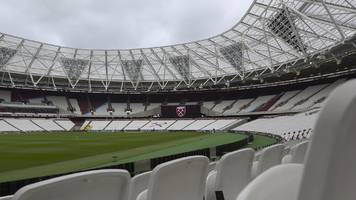 West Ham are to finally get a claret-coloured pitch surround at the London Stadium.